Your home will be a more pleasant dwelling place with fine-looking outdoor installations. Outdoor structures like patio decks and gazebos will enhance the appearance of your home and serve well as extensions of your living space. Our expert home builders in Missouri can help you build your dream homes with the excellent additions we can provide for you. Make every moment of your stay at home worthwhile with these wonderful added extras that are not only decorative, but also functional as well. Enhance an unused part of your lawn with exquisite designs from our home builders in Missouri. Eckhoff Construction, LLC is the premier builder of outdoor projects. With our years of experience in woodworking and carpentry, we have expanded our creativity in building screened porches and wooden bridges. If your residence is near a river of a creek, it would be very convenient to have a bridge to connect you to the other side. Wooden bridges give a warm welcoming ambiance. The materials we use to construct bridges are from approved, good-quality lumber. With its durability, it can handle more weight than you would expect. 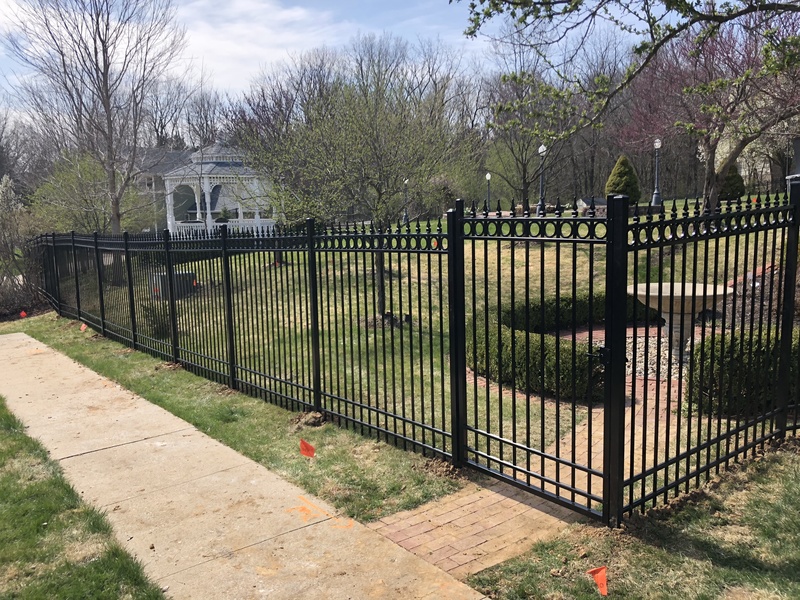 We would love to hear from you on how we can help you enjoy your outdoor experience more by adding a useful and pretty structure on your property. Living beside a lake is exciting. You get to take a swim or have an abundant catch of fish. Lake docks create an atmosphere of a true country home. Make the most of the serenity the lake offers. If you have a motorboat, having a river dock is very advantageous. We construct docks in different sizes and designs according to your preference. A good way to protect your patio deck is to enclose them with screens. Screens guard your patio from such elements like dust and debris. It prolongs the integrity of your patio deck by minimizing the effect of weathering to the wood. It helps block excessive sunlight and rainwater from damaging your patio. 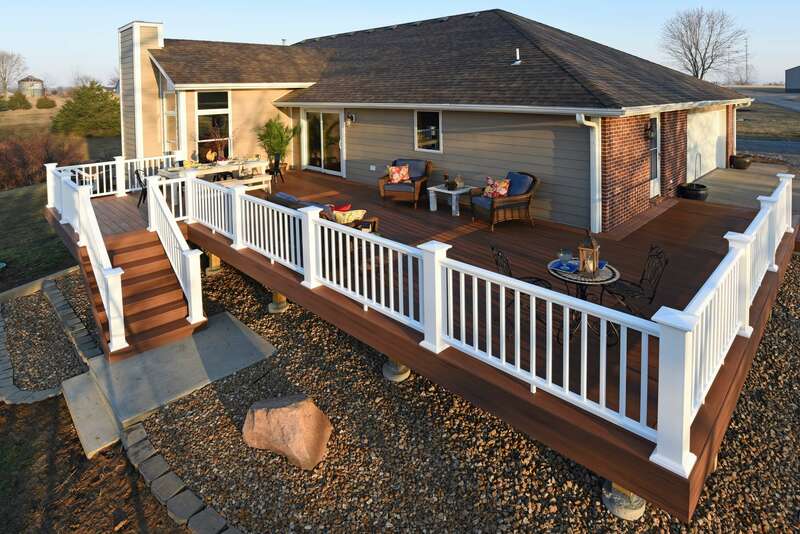 Our professional team of home builders in Missouri can renovate your existing patio or deck or create a new one for you in a jiffy. Stages are perfect for any celebrations. Seeing your children play in a recital gives a sense of fulfillment as a parent. Family parties can make use of a good stage. Eckhoff Constructions, LLC can help set up a stage for presentations. We cater our services not only for homes, but schools as well. You can rely on us with woodworks and carpentry services. 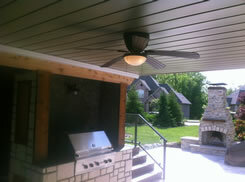 Let our home builders in Missouri take care of your outdoor construction and renovation needs. We give free estimates for every project that we do. Our projects are guaranteed to last. Call us now to know more about the services we offer.